Stem cells Prolotherapy for Knee Arthritis-The masterminds behind stem cells therapies are reinventing the wheel, with life changing protocols in order to revolutionize the arthritis treatment options for millions of people with multiple musculoskeletal issues, such as soft tissue injury, arthritis, etc. Being targeted at the intrinsic mechanism of the body, stem cells Prolotherapy for arthritis can be referred to as a technologically innovative treatment option for the better management of the issue; naturally yet effectively. Stem cells are the naïve cells of the body, with the better ability and inherited sense to transform into cells that have been lost through routine wear and tear of the body. This specific ability of stem cells has been exploited and evaluated for the safety as well as feasibility analysis, through global clinical studies; and have proven to be practically efficient without any reported adverse reactions. 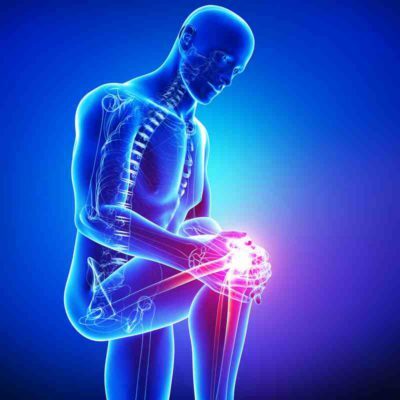 Patients who have been selected for the studies were people who have been suffering from the adversity of knee arthritis as well as knee pain for more than five years; without any attempt of undergoing knee replacement surgeries. Autologous applications of stem cells isolated from patient’s own body tissues were found to be safe as well as viable alternative; since these cells were lying underutilized in those sources and can be extracted efficiently outside the body. Moreover they can be isolated in sufficient numbers to cope up with the lost cells. With a targeted infusion of rich population of specific stem cells; they are allowed for their quick repopulation at the site of injury, in order to reboot body’s internal immune system. Since these stem cells are been infused with patient’s own platelet rich plasma; they create a better niche through secretion of growth factors and thus help in faster regeneration of the lost cells. Since the science as well as the technology has been developed tremendously through the application of latest imaging systems and ultramodern machineries; the risk associated with the procedure is been reduced to a great extent. Moreover autologous stem cells are being used; they don’t pose any threat to the body. The studies have further confirmed that application of stem cells therapy, stimulated with patient’s own plasma have achieved significant clinical outcome through effective pain management, functional restoration of the joints as well as significant symptomatic relaxations, such as reduced stiffness. Some patients have as well reported significantly reduced dependency on anti-inflammatory medications. Thus, it should be noted that musculoskeletal disorders, such as arthritis cannot be cured through conventional medications; with its early intervention and application of stem cells therapy as an alternative therapeutic option can effectively manage the condition.